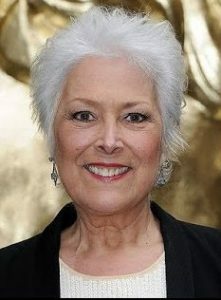 Lynda Bellingham’s sons accuse stepfather of splurging their inheritance. The story has featured in most of the press as well as television. At first it sounds like something very untoward is happening but the truth is this is just another example proving basic Wills are often not fit for purpose. Lynda Bellingham’s Will left everything to her husband. Legally it is his money to spend as he wishes. If you are remarried and have children from a previous relationship, then you could be in Lynda’s shoes and accidentally disinherit your children. Perhaps you have a parent that has remarried in which case you could suffer the same fate as her sons and see someone else squander your inheritance. I come across similar cases regularly and, in most, there has not been a cross word or argument between the step-parent and step children. I’m sure you trust your spouse not to do the same but, to be absolutely certain, proper planning is required. Lynda Bellingham’s Sons On The Controversy Over Her Will appearing on ITV’s This Morning.